Home Event GenSan Happening Journal Personal Movies at the Park: Oval Plaza will become a BIG Outdoor Cinema! 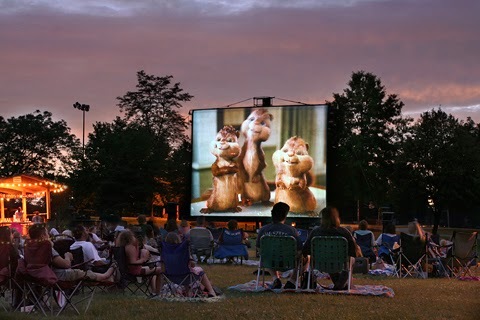 Movies at the Park: Oval Plaza will become a BIG Outdoor Cinema! 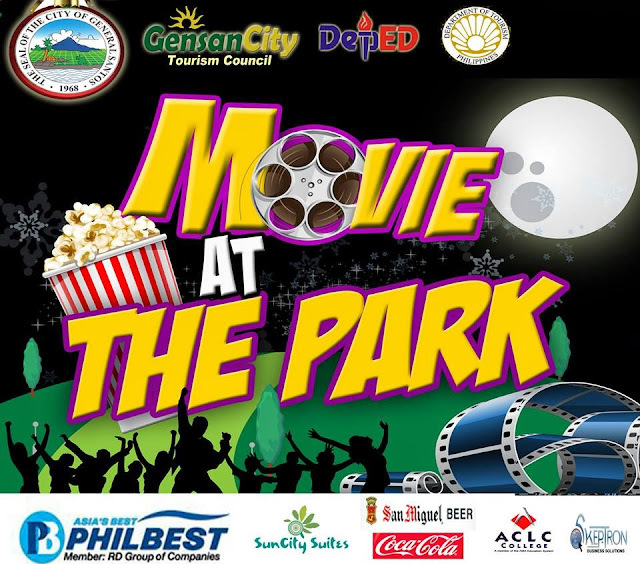 General Santos City - In festival of the majestic Christmas celebration of Paskuhan Sa GenSan 2013; GSC Tourism Council and I offers this free Christmas event to the community, the Movies at the Park. Transforming the main lawn of GenSan Oval Plaza into a big outdoor cinema. Genuinely, I can say that this will definitely be your best Christmas night times ever. The movie starts at sundown, we will provide the bleachers so grab your blankets and join in the fun. Once there, you just need to pick a spot where you can see the screen and plop your stuff down and enjoy a night of free entertainment. Make sure to bring your kids. Your pets perhaps. A large group of friends. But most especially, don't forget to go with your family, since Christmas is all about family bond and togetherness. We will make sure that the evening will give you a positive experience, although the movies aren't first run. But who cares. Enjoying movies at the park during Christmas season with family and friends is better than any first run movie anywhere else in the world. Good thing about coming in this 4-day event is that apart from getting a full access of movies entertainment, you are able to bring your favorite take out dinner, movie snacks including beverages. But just remember, alcohol is not permitted within the premises. We will appreciate if you will pack a picnic goodies. Has a resemblance on this pic, but not necessarily it will look like this since we have bleachers for everyone. Movies are subject to change. Reserved movies are in the event when audience demands to watch more movies or when there's still a lot of time to spend for another movie to play. In this way, we aim to give opportunities for families to do this together without costing them an arm and leg. It will surely puts a huge smile on my face to see all the people enjoying this unforgettable evening of free cinema under the stars. Indeed, nothing can beat being outdoor with friends and family watching a movie in the middle of the city.